Help Center2. Help2.1 FAQsHow to create a ZIP code boundary map? Do you want to create a ZIP code boundary map that you can use in Google Maps, Mapinfo, the Spotzi Mapbuilder or any other mapping tool? In that case you need certain boundary data. With this type of data you can plot ZIP code areas on the map. These files are actually a long line of points that create the structure of an area (see image below). 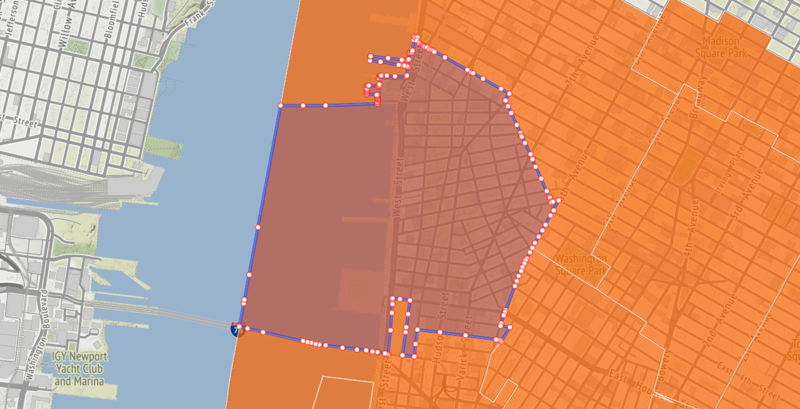 The files that are used to create boundaries on the map are in most case GeoJSON, Shapefile (zipped) or a KML. 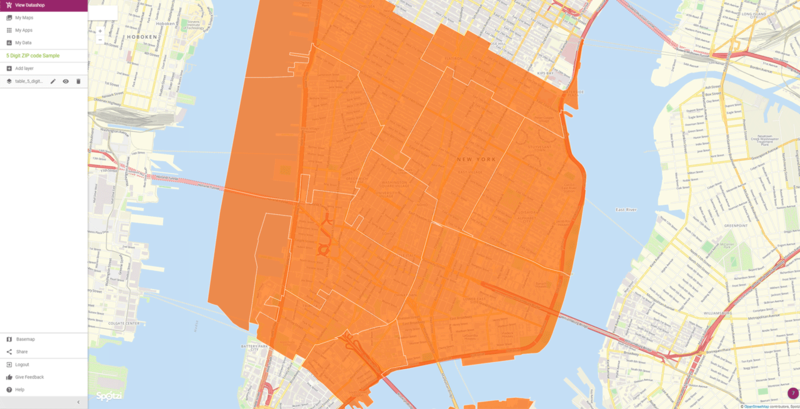 In the Spotzi Datashop you can find a wide range of ZIP code boundary data you can instantly that you can use to create a ZIP code boundary map. For more information, please visit our article about importing boundary data.